I think this cereal box project has been the most fun for me. This is the 3rd in my Cereal Box Cut-outs series. First, game. Second, mobile. Now, Thanksgiving turkeys. 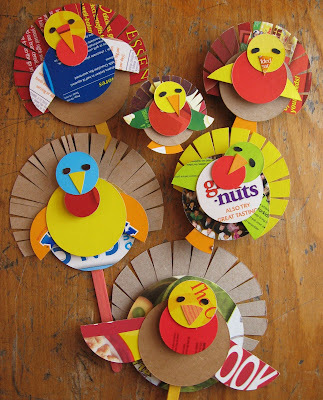 I set out all of my cut circles and began layering to create colorful little turkeys, not gluing until I was satisfied with the overall appearance. Experiment with the front and backsides of the cereal boxes, patterns and solids, so as not to have too many competing patterns or like colors on top of each other. Cut little eyes and a beak. For added dimension, layer small pieces of cardboard or foam core board between some of the body parts. See the middle picture above. Once you're satisfied with your design, glue. 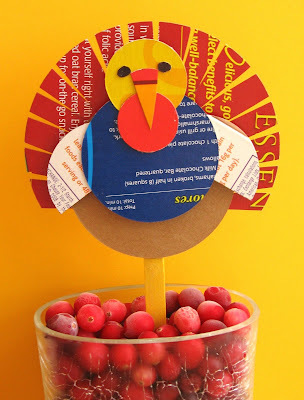 Glue a popsicle stick on the back and poke your turkey into a plant, centerpiece (make a bunch for an all turkey centerpiece), bowl of candy or cranberries, your baked sweet potatoes, whatever. 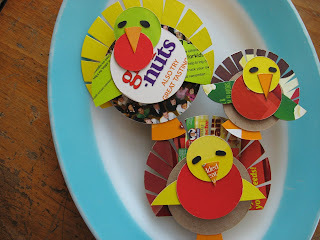 For clip-on turkeys and turkey napkin rings, see my corresponding Cereal Box Cut-outs, Part 3: Thanksgiving turkeys post at Blissful Kids. Those turned out amazingly cute. 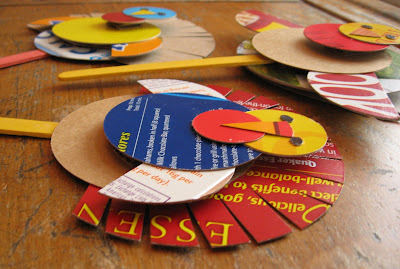 I may have to invest in a circle cutter to do this craft with my boys. 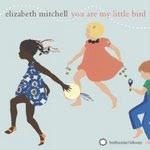 I enjoy reading your blog and your craftyness. You are amazing with those cereal boxes. So cute. PS I also love the felt animal habitats. Lots of fun. Oh my gosh these are SOOO CUTE! I love all the color! I'll be linking. These are so great! I needed a thank you/thanksgiving card today, and quickly assembled one of these turkeys (hand cut) for the front. Perfect! Thanks for the wonderful idea! These cereal boxes keep getting better! So, so clever! this is the cutest thing!! These little guys are too cute!! Wow! 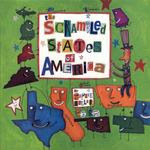 I just found your blog through Kiddio and I am subscribing right away! Those turkeys are the coolest and PERFECT to make with my siblings and my boys. Thanks for the fantastic idea. I made some today with my boys. They loved them! 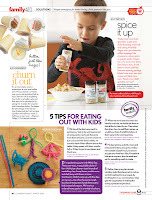 Oh I love using cereal boxes for crafts, too! This is an excellent one! Thank you for sharing!! 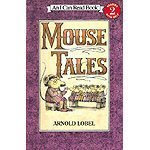 I recylce all kinds of boxes...graham cracker, cereal, fruit snack boxes...etc...using them for stick puppets (like the turkeys, but not so creative! ;)) Thank you for the idea! Happy Thanksgiving! What a great way to recycle! I just love these! I'm going to adapt your idea for birthday party invitations for a party to be held at a children's farm. Thanks for the inspiration. I love this craft and would love to include it in a Parents.com roundup of crafts. Can you email me asap so I can give you the details? 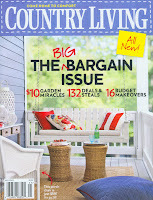 My name is Amy Schellenbaum and I work for the online team at Country Living magazine. I'm working on an online Thanksgiving feature called "10 Ways to Make the Kid's Table Fun" and would love to include your idea. If you agree, we would link to your blog on CountryLiving.com and promote the feature to all of our Facebook fans and Twitter followers. All that we would need from you is a hi-res image of the project and your permission to link to the blog. My deadline for this is very tight, so if you could at least let me know about participating ASAP, that would be really appreciated. My email is ACSbaum@gmail.com. Hi! 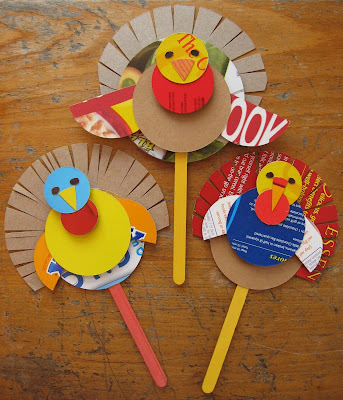 We wanted you to know that we featured this post in our Thanksgiving crafts and ideas round up post http://www.theclassroomcreative.com/2012/11/05/30-thanksgiving-crafts-ideas-projects-for-kids/. Thanks for sharing! I love this craft! I am a sixth grade teacher and needed something festive for the holiday, as well as cheap and linkable to our math concepts. I was able to have students find the radius of each circle (I gave them the diameter), and the circumference of each circle. Then they had to use a compass to draw each circle. Then cut and assemble! It was perfect! Crazy hour and a half, but perfect for the concept and holiday! Thank you so much for posting this! Lihat dan pelajari Cara bermain Game online paling seru dan terbaru. Dapatkan berbagai macam in game bonus secara mudah. Dapatkan juga cashback setiap pembelian in gmae cash.